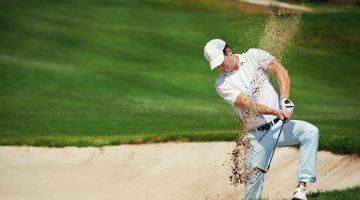 The Drei Thermen Golf Resort offers no less than four 18-hole golf courses: Quellenhof and Kapellenberg in Bad Bellingen, and Burgplatz and Schlossplatz in Homburg. At more than 6,910 yards, Quellenhof is the longest course in the region, lying in hills with extensive greens dotted with more than 150 bunkers. Kapellenberg is located in German borderlands and, depending which way you look, offers beautiful panoramas of the Alps, the Black Forest, the Rhine Valley and the Vosges. 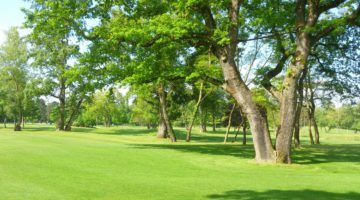 On the grounds of Homburg’s magnificent Schlossplatz you can play through impressive avenues of forest on what feels like a century-old course. Still in Homburg, the Burgplatz course takes us through tranquil woods, with little to disturb a relaxing game suffused with thoughts of nothing but nature. 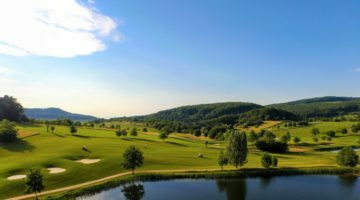 If you look forward to playing a memorable round of golf on any of four courses within easy reach of one another, then visit the Drei Thermen Golf Resort. Members of official golf clubs in a national association with Course Permission are welcome from Monday to Sunday. From 1. April – 31. October tee times from 8 a.m. to 4 p.m. have to be reserved. Please phone the office in advance.